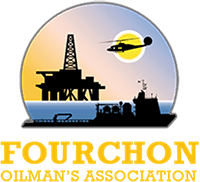 The Fourchon Oilman’s Association is dedicated to improving the quality of education of our local youth by providing scholarships to qualified high school seniors. The FOA will offer two(2) scholarships worth $4,000 each to a college or university bound student and two(2) scholarships worth $1,000 each to a community or technical college bound student beginning in the fall of the 2019–2020 school year. The goal of the scholarship program is to help students of exceptional promise reach their full potential through education. Scholarships are given for a wide variety of experiences, career goals and higher education plans. Applicant has a grade point average of 2.5 or better and has taken the ACT or SAT Assessment. Applicant may choose to attend any accredited two or four year state college or university of their choice and choose any curriculum leading towards a bachelor’s degree. One parent of applicant MUST be employed by a member or sponsor of the Fourchon Oilman’s Association in order to be eligible for this scholarship. If employment with the relative is terminated for any reason the recipient is eligible to continue receiving the award if the remaining requirements are met.